The 11thedition of the TDS® is going to be memorable: more beautiful, more technical and more lively, this new adventure awaits runners with a longer itinerary that passes through the Beaufortain massif. A journey marked by sharing and discovery, to get to know the inhabitants of the valley, their expertise, their trails, but also their natural and... gastronomic heritage. With this incursion into the heart of the Beaufortain, the race that follows the footprints of the Dukes of Savoie (TDS® - Traces des Ducs de Savoie) has never worn so well its name and its attachment to the territory. As for the challenge, it has never been so exciting and magnificent, daring and technical, wild and unusual. It is an opportunity for runners from all over the world to come and rediscover this race, which promises to be one of the highlights of the 2019 edition of the Sommet Mondial du Trail. The new route was designed by the UTMB® race commission with the help of Thierry Bochet’s expertise - he is a brilliant local finisher of the PTL®. It enters the heart of the Savoie passing through all the unmissable places of the massif such as Pas d'Outray, a true viewpoint of the Beaufortain, with its breathtaking view of the Pierra Menta and the Grand Mont, two mythical places for ski mountaineering. Not to mention the Mount Vorès, with its alpine and green atmosphere, where Tarine and Abondance cows love to graze. 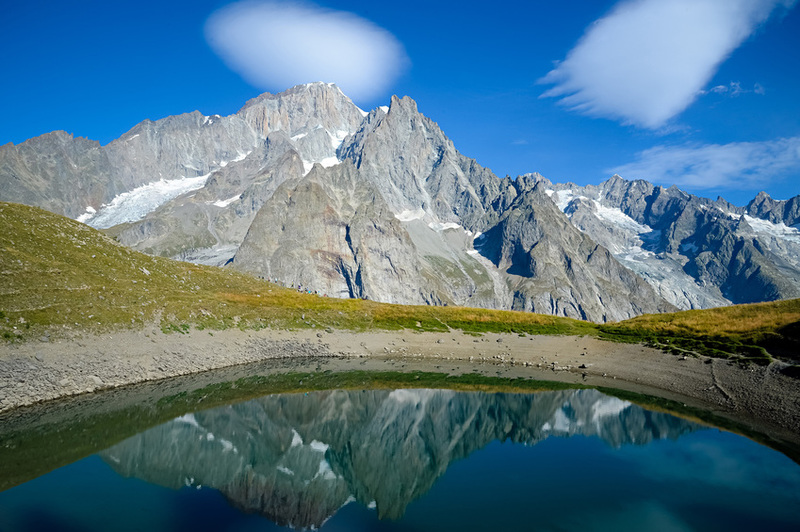 Or, the panoramas of the mythical lakes of the valley at the passage of Gittaz, that lead runners into the heart of the massif. With its landscapes that the whole world envies us and its many remarkable viewpoints (Passeur de Pralognan, Col de la Sauce or the passage of the Curé), the TDS® is more than ever a world-class race and the adventure of a lifetime. The start is scheduled 2 hours earlier than usual (4am) to allow runners to cover the additional 23 kilometers and 1800 meters of height gain. Logically, the time barrier is delayed, leaving 42 hours for participants to finish the race instead of the 34 hours of 2018. As for supporters and spectators, following the race will be easier thanks to the fact that the Cormet de Roselend life base will be relocated in Beaufort, where supporters will be able to benefit from the village's infrastructures and facilities. 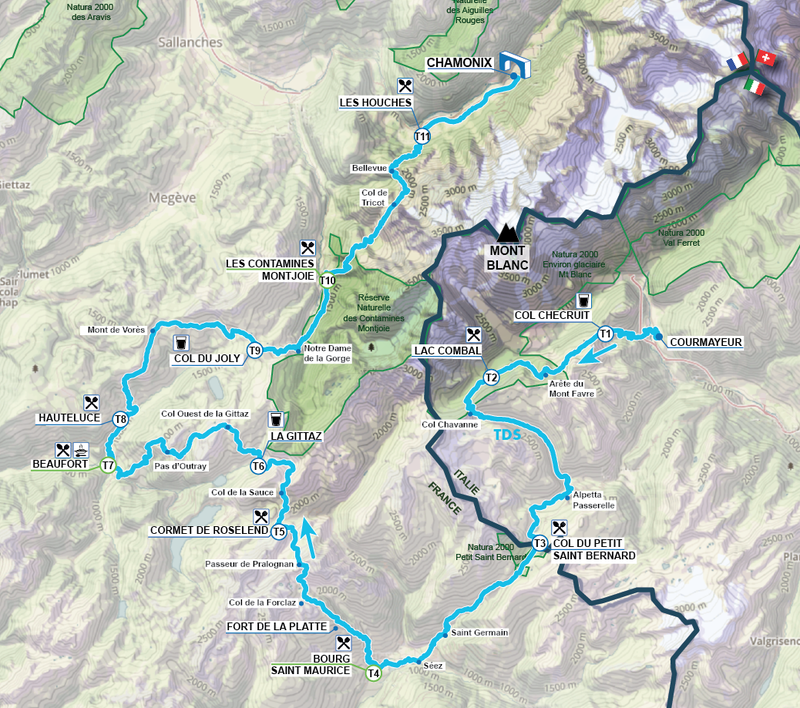 The new route will also pass through Hauteluce, with its many hamlets, its alpine chalets and its breathtaking view of the Mont-Blanc. The final part of the race is going to be incredible! that is going to be legendary.